As Ireland’s only institute of art, design and technology with a specific focus on the creative cultural and technological sectors, IADT is alive with ideas, innovation and entrepreneurial activity. IADT's Faculty of Film, Art & Creative Technologies programmes which focus on research, creativity, technology and production. It also has strong links, and established partnerships with the commercial, academic, creative and cultural sectors. Get practical tuition in: production, script, direction, cinematography, lighting, sound and editing, television programming, drama, documentary, commercials, promotional, experimental and educational programming. Benefit from hands-on production experience and easy access to excellent facilities in the new National Film School building. Animation continues to grow in popularity and importance across the entertainment, advertising, education and communication industries. Learn how to explore and document your world and your stories with a full complement of animation production processes and skills. This MA is your opportunity to learn how projects arecreatively developed, financed, produced and distributed. It’s also a chance to make contacts with leading Irish and international producers and experts in screen business, law, sales, distribution and script development. You will learn about project acquisition and development, business plans, legal issues, co-productions, contracts, sales, distribution, marketing and cross-platform exhibition. This course aims to inspire you to develop the art and craft of screenwriting and related ancillary skills to a high level. You will have already demonstrated an aptitude for writing (through your undergraduate studies or your portfolio work), and by the end of the course, you will have written a full-length feature script or a pilot episode for a television drama. What makes IADT unique for prospective students? IADT’s national reputation is based on the consistently high achievements of its student productions in both professional competitions and festivals, at home and abroad; the careers of its graduates in the entertainment and media industries; and the very high standard of applied film education that has always been provided by in Dun Laoghaire. Home to The National Film School (NFSIADT’s film, technology, design and visual arts programmes have an international profile and reputation for quality and relevance in fast-paced professional environments. It has the broadest suite of inter-related practical courses in the area of film, television and animation in Ireland, at both undergraduate and postgraduate levels. How do you prepare students for working in the industry? Each course teaches professional practice and has an industry related module. All IADT staff, whether full-time, part-time or visiting lecturers, have considerable industry experience and excellent contacts. Internships and work experience are facilitated for students and recent graduates, although every programme has its own strategy, including industry-related projects; Animation, for instance, arranges that every Irish studio or production company comes in to meet the 4th Year students before they graduate. Kirsten Sheridan (writer/director), Kieron J. Walsh (director), Gary Shore (director), Ciaran Donnelly (director), Paul Duane (writer/director), Declan Recks (director), Brendan Muldowney (writer/director), Ciaran Foy (writer/director), Ken Wardrop (documentary maker), Liam McGrath (documentary maker), Maurice Sweeney (documentary maker), Conor Barry (producer), Rob Walpole (producer), Brendan McCarthy (writer/producer), Suzanne McAuley (producer), Robbie Ryan BSC (cinematographer), Kate McCullough (cinematographer), James Mather (cinematographer), Ruairi O'Brien (cinematographer), Brien Vahey (production designer), Ray Ball (production designer), Anna Rackard (production designer), Susie Cullen (production designer), Stephen Daly (production designer), Ben Yea?tes (editor), Mick Mahon (editor), Sharon Doyle (make up designer), Tom McInerney (make up designer), Jason Butler (animator), Cat Little (animator), Teemu Auersalo (animator), Jack O'Shea (animator) and Eamonn Butler (animator). 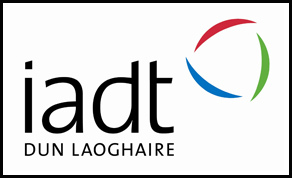 For more information on IADT, click here.